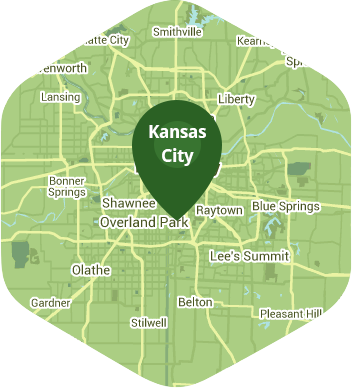 Book a skilled lawn pro in Lee's Summit. Backed by a total satisfaction guarantee and amazing customer support. Look up "charming" and you'll see a photo of Lee's Summit. It's a town straight out of the movies: safe streets, friendly people, great schools, historical attractions, and a bustling downtown. You'd almost expect to run into some 1950's movie idols on their way to the roller-skating rink. So with all of this cinematic perfection, don't you want your lawn to be just as picturesque? Lawn Love is here to help you make that happen. We've blended today's online convenience with old-fashioned quality to give you the lawn of your dreams - easily! Our independent lawn care experts know exactly what to do to get your lawn looking its best, and to keep it thriving, season after season. Give us a try! Contact Lawn Love today at 816-527-9015 or take advantage of our easy two-minute quote, and enjoy a beautiful, hassle-free lawn for life. Rated 4.76 / 5 stars in 2,029 Lee's Summit customer reviews. There won't be any rain in Lee's Summit today, which means you'll probably have to water your lawn. Dusk and dawn are the best times to water your lawn (the sun will rise at 6:34 AM and set at 7:59 PM today in Lee's Summit). Here are some average lawn care prices for homes in Lee's Summit. Average lawn size 5,648 sq. ft.